As a pastor and church staffer, I am way too familiar with church culture. A huge part of church culture is the nominating committee. You know those awesome people that come to you during the summer and guilt trip you? Yeah! That’s them! I have seen committee members sit around in meetings and nominate people who hate kids to serve in the nursery, people who hate music to lead the choir, and the meanest people to serve on the hospitality committee. Then, they chase people down on Sundays to ask them if they will serve in a particular area. What happens if they hesitate or say “No”? The guilt trip! The well-meaning committee member proceeds to tell the person asked that they should fast and pray for a few weeks and surrender to the will of the committee, I mean “the will of God”. 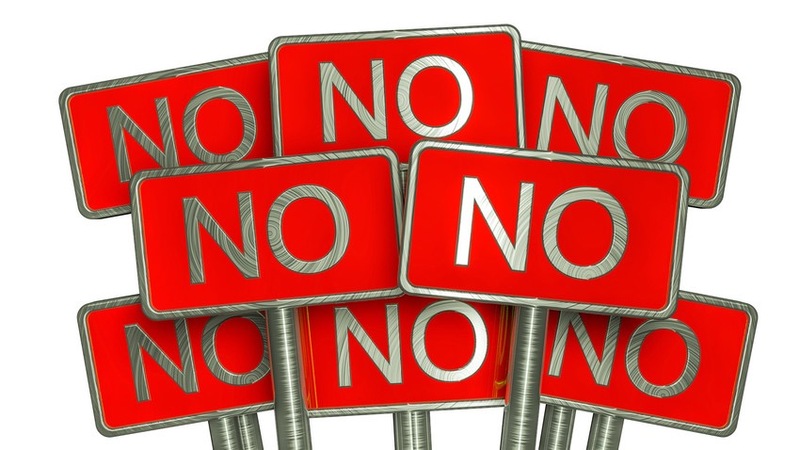 I say so much of that in jest, but it is okay to say no to something God is not calling you to do. I have been asked to do things and I have politely declined. Sometimes I received the guilt trip, while at other times I was given the liberty to obey the Lord. If something is not within your skill set, you may not be called to do it. Just because you are asked to do something does not always mean that God opened a door. The devil may have created a distraction for you. A year ago, I had the potential opportunity to pastor an established church. I preached there 4 different Sundays. They already had an established building and a parsonage where my family could have lived. It would have been an easy financial solution, but God wasn’t calling me to it. He was calling me to start the church I now pastor. So often, we do things for self rather than for the Lord. Or we do things so we do not disappoint someone else, but we do so begrudgingly. I could have easily taken that opportunity, but I would have not done so because God called me. Understand your calling and operate within it. If something distracts you from your calling, say no. You will find that you have the energy and passion to give yourself wholeheartedly to what you are supposed to do, not what others think you should do. This message is important. I tell people to go for what God has asked them to do rather than for themselves. One need to be led by the Spirit to know what God wants one to do.